Any occasion is a good excuse to open a good bottle of wine, right? On November 11th, St. Martin’s Day, also known as Martinovanje, is celebrated through Slovenia. It is an important event, especially in the wine-producing regions: Podravska, Spodnjeposavska and Primorska region (also known as Goriška and Coast-Karst region). It was believed that St. Martin was able to change water into wine. Therefore, on St. Martin’s Day, it is traditionally believed that it is the time when the must turns into wine – an important event for the winemakers. The must, believed to be impure and sinful, is often blessed by a bishop and then, it becomes wine. St. Martin’s Day is the Feast of St. Martin of Tours. According the legend, St. Martin was so reluctant to the idea of being appointed as Bishop that he hid in a barn of full of geese. The geese cackled at the disturbance and betrayed his hideout and he was appointed Bishop anyways. Eating goose became the traditional symbol of the Feast of St. Martin. Although, not everyone could afford to eat goose, many ate some sort of poultry instead, such as duck or chicken. For St. Martin’s Day, we had turkey with stewed red cabbage. Yum! And the feast wouldn’t be completed without a delicious dessert, right? Updates January 2017 – I am sad to announce that Gostilna Pr’ Krvin is now closed. Unlike in Canada, Labor Day, also known as the International Workers’ Day is celebrated on May 1st (and on May 2nd) in Slovenia. During this holidays periods, many Slovenians take advantage of the day offs to go on short holidays in Croatia, at the sea or in the thermal spas – you will need to book ahead if you plan to go anywhere during that period. For those who decided to stay home, celebrations are as promising and interesting! 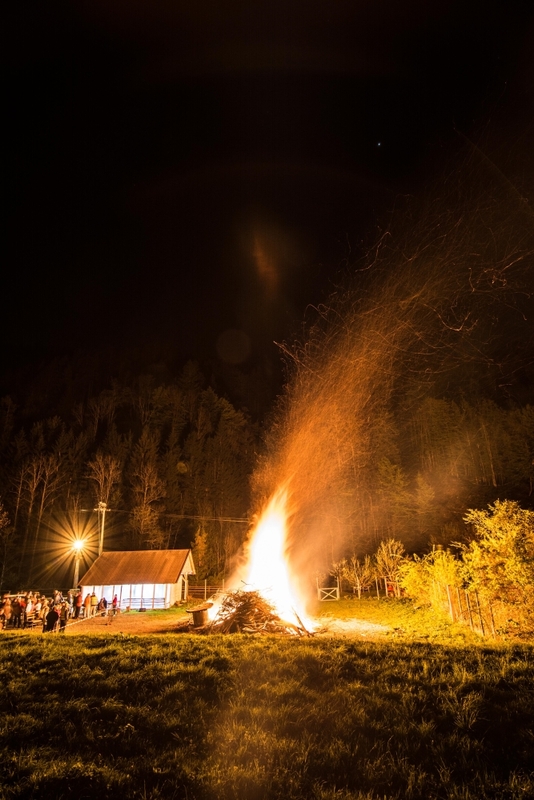 On the Eve of Labor Day, a giant bonfire – kres , is built in different locations within Slovenia and burnt through the night. For centuries, bonfires have been used, notably during the Great Turkish War to signalize dangers and attacks to surrounding villages. Bonfires were usually built high and at location where it could be easily seen from afar. Bonfires have been part of the Slovenian Cultural Heritage since a very long time, for rituals and such. The significance of kres on the Eve of Labor Day is to remind the workers of their rights to have a day off on the next day! 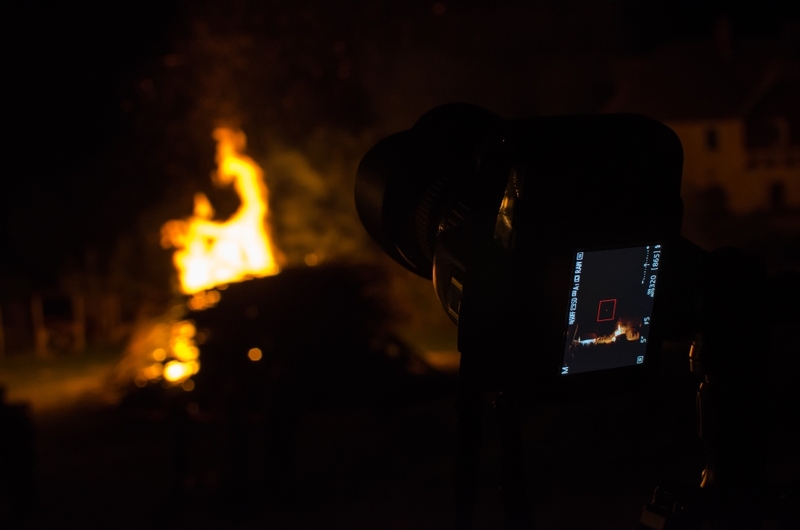 Nowadays, people gather around bonfires, which are still built in visible location – like a hill, as part of a social event – Kres are often associated with music, drinks and food. The traditional custom of kres still attracts a lot of people as it is part of the Slovenian culture. Volunteers built the bonfire and firemen light it at the given time. Diligent fireman are present at the site as long as the bonfire is lit to ensure the safety of the event. In 2007, the Guiness World Record of the tallest bonfire was built in Boštanj to celebrate Labor Day! The measured high was 43.44m! Happy Labor Day from Slovenia! One of the most important cultural festival in Slovenia is indeed Pust, the Carnival. 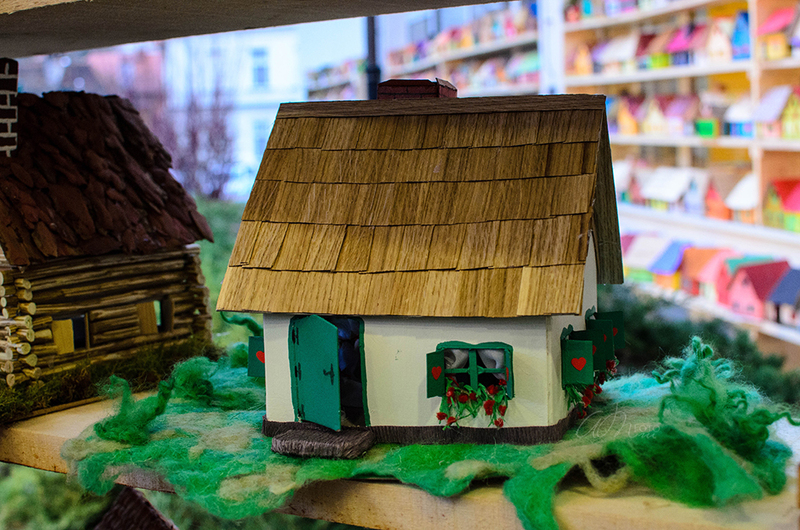 Pust is celebrated in every town and city, usually in February or in early March. The Carnival takes place as a great parade in the town’s streets. During the parade, a lot of noises are made to scare away the “horrible” winter. 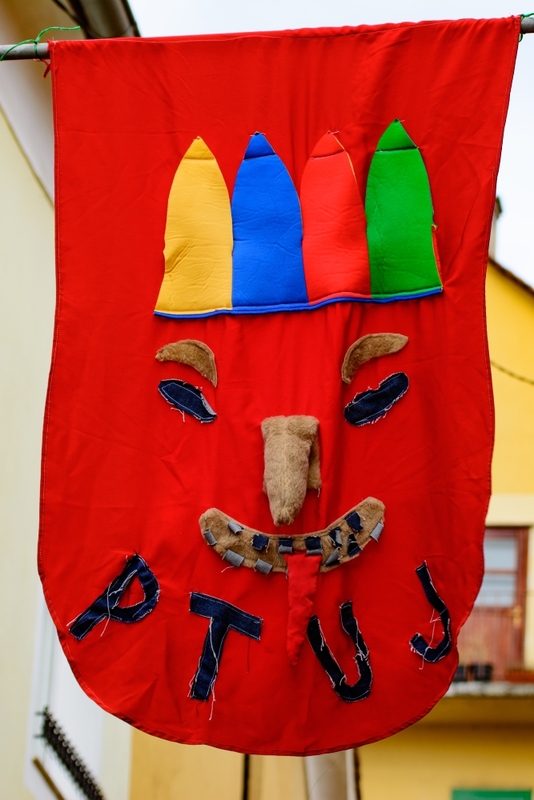 Slovenian towns and cities celebrate Pust, but the town of Ptuj celebrates Kurentovanje, the grand version of Pust. The Kurentovanje represents more than a hundred years of traditions and Ptuj has the unspoken mandate to keep the tradition going and alive. The Kurentovanje is a 10-days long festivity that celebrates the arrival of spring and carries out traditional rituals. 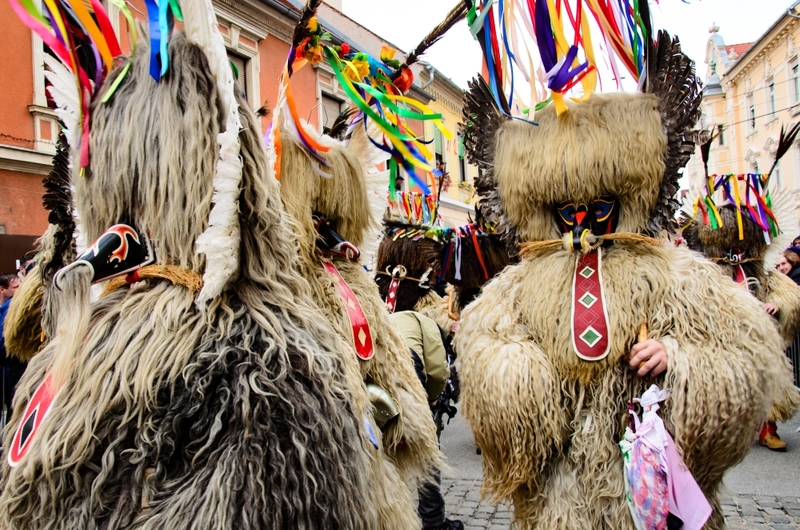 The name of Kurentovanje comes from the Kurant, a key character in the celebration and also the symbol of Ptuj. The main event of the celebration is a huge parade, always lead by the Prince of Pust and his Royal Court and Guards. Following him are spearmen, fairies, chickens, pokači (noises makers), šoštanjski koši (drunk man carried in a basket by their wive), and of course, tons of Kuranti! The Kurant is the main character and mascot of the Kurentovanje. The traditional Korant outfit consists of a very colorful mask with beautiful ribbons and heavy sheep skins coat with many cow bells around the waist. In his hands, the Kurant holds a weapon: the ježevka, a thin wooden stick with real hedgehog spikes at the top. The Kurant parades the streets, jumping from side to side, makes a lot of noise and chases winter away! Traditionally, only unmarried young men can put on the Kurant costume. During the parade, young girls would tie their handkerchiefs around their favorite Kurant‘s ježevka. At the end of the parade, the Korant with the most handkerchiefs is believed to be the most popular man among the girls. Nowadays, anyone can wear the Kurant costume and anyone can be asked to give their scarf to the Kurant – trust me, they can be quite persistent on it! During the celebration of Pust, one of the most popular snacks is the Krof, a puffed donut filled with jam and generously sparkled with white sugar. There is saying in Slovenia “Pust je masten okoli ust” which literally means “Pust is grease around the mouth” in Slovene. As any carnival, it is quite normal to have a lot of food on the table for the celebrations. Although, in Slovenia, it is believed that if everyone is well-fed during Pust, then the year’s harvest will be good. During the Carnival, it is required to give a token of appreciation to the Kurant and his followers (adults and children in disguise) for their help in scaring winter away and their prayers for a fertile year of harvest: sometimes a delicious Krof will be given. 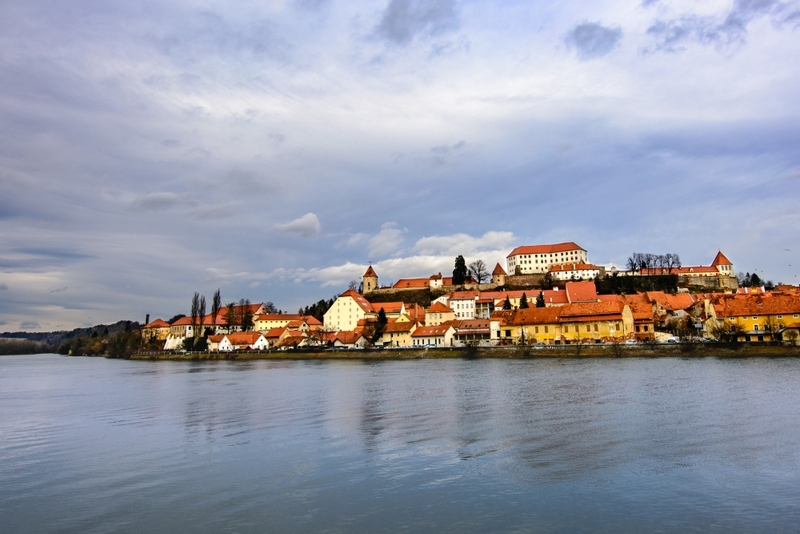 Every year, thousands of people gather in Ptuj in order to participate in the Kurentovanje festivities, others stay in their hometown for the local celebration of Pust. Carnival makes enough noises all around Slovenia that surely the winter will be scared away! Saint Nicholas Day is Coming! The weather is getting colder and snow is falling – winter is coming. 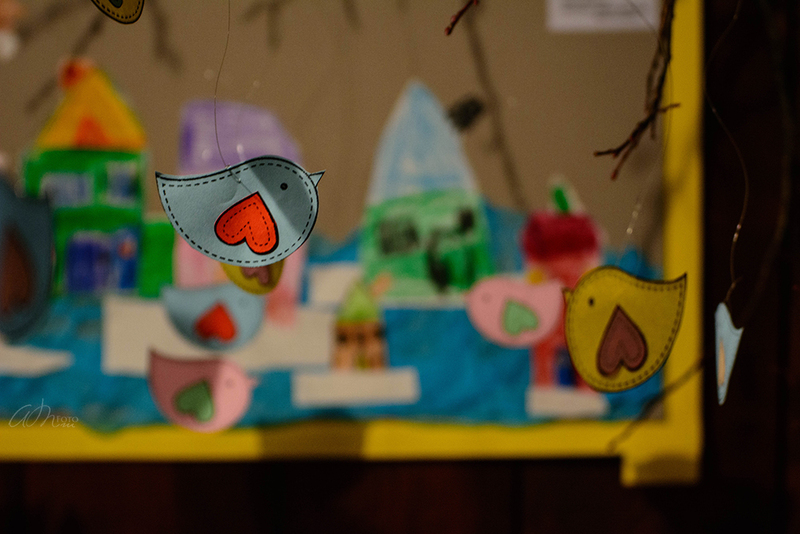 For the children, the most awaited celebration of the year is just around the corner. In Canada, I celebrated Christmas with gift exchanges and family gathering, around December 25th. Here, in Slovenia, Christmas is also celebrated, but Saint Nicholas Day, which is on December 6th, seems to be more popular and traditional celebration. It does make sense, since Slovenia is mostly Catholic. The magic takes place the night before Saint Nicholas Day, on December 5th. Saint Nicholas – Miklavž, and his devils – parkelj, is said to go around the houses and visit the children. 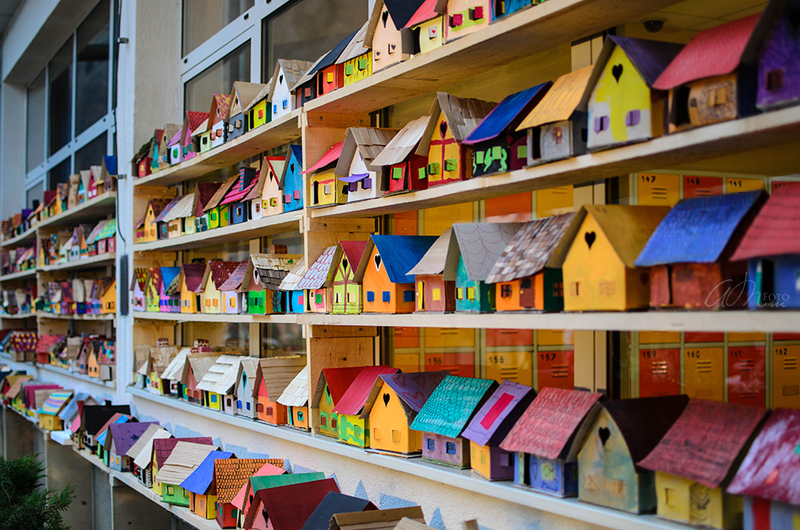 Gifts will be given out to the children who have been well-behaving during the year, and for those who haven’t been, the parkelj would leave a rod on their doorsteps, for their parents to use to punish them. And if they have been very naughty, rumors say that the parkelj would put them in a bag and take them away from their parents… which can be pretty scary for small children. Some villages keep the festivities authentic by having a small group of people, disguised into Saint Nicholas and his parkelj and actually go visit children. Although, catching a glimpse of them doesn’t seem to be easy (as I haven’t seen them yet), but they are said to be pretty impressive – so it’s worth the hunt! Happy Holidays Preparations! Have you been a good or naughty child this year? In Slovenia, every first day of November is the Remembrance Day of the Dead – dan spomina na mrtve, or also known as the Day of the Dead – dan mrtvih. It is a state holiday and many Slovenians take the opportunity to go visit their beloved ones at the graveyard. Floral arrangements and candles are put in front of the tombs as a token of their visit. This is a traditional and important celebration in the Slovenian culture. Curious as I am, I also looked up the Christian calendar because Slovenia is mainly Christians and Catholics. I found out some interesting things. November 1rst is also a Church holiday – the All Saint Day. It’s a celebration for all the Saints, but especially for those who does not have their own “Name Day” – therefore does not have a feast day devoted to them. You might be wondering what exactly is a “Name Day” – originating from the Christian calendar of Saints, every day is associated with a specific Saints feast day. In older tradition, believers who were named after a Saint, would also celebrate on their Name Day instead of their birthday. That means, the All Saint Day is to commemorate all Saints, but it is also to offer a feast to all other Saints that are not in the Christian calendar of Saints. If you know, heard of or have similar traditions, please share with me in the Memento box below!